Urban Decay is offering 10% off your first order when you sign up on their website as well as emailing you updates whenever there is a new sale or promotion! 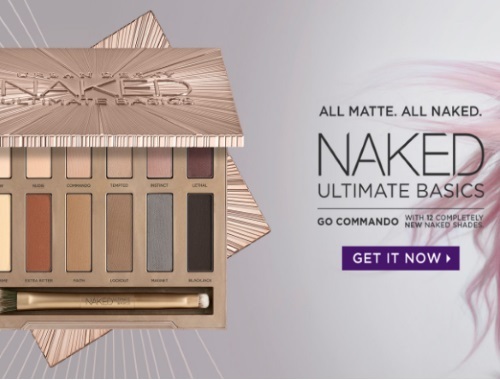 I am a big fan of this brand, from their Naked eyeshadow palettes (they recently came out with a new Naked Ultimate Basics palette) to their All-Nighter liquid foundation! Also, for a limited time, write a product review and you'll be entered for a chance to win a $250 gift card! Click here to sign up for Urban Decay.